Some professionals charge by the window and if you have a lot of windows, this may not be the one for you. If you have very few windows but they are large, go with a per window company. Why? Because the other option is to charge by the home’s square footage. If you have several larger windows, you probably have a large home. As a general rule, the more windows you have, the more dollars they will charge. Window screens will have to be taken off to get to the window. Window screens also need to be cleaned. You can tell them not to clean them but expecting your windows to look and stay clean with dirty screens is like brushing your teeth while eating Oreos. The price will go up a bit but the results will last longer. This may actually be included in the cost of typical window repair, but it is a nice reminder of why it is so awesome to have a professional do this. 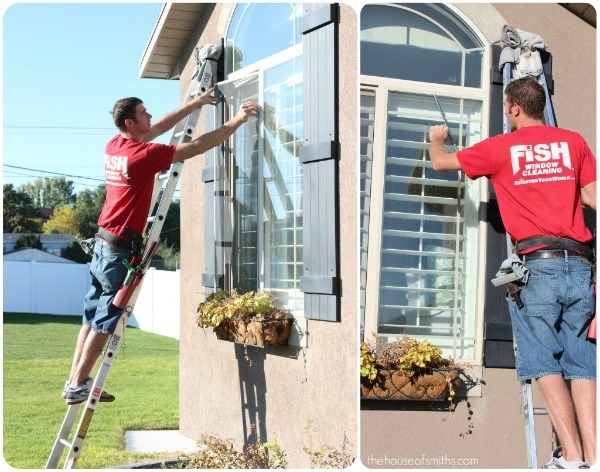 Have you ever gone the extra mile and tried to clean the sills and tracks of your windows? There are not enough Q-tips, toothbrushes, and bottle brushes in the world to do the job a pro can do with their tools. Newer homes have made cleaning windows, even on the second floor, harder to ignore. They have this thing where you can just fold the window inside to clean the outside. There is still the portion of the window that does not move, the screen, and those pesky sills and tracks though. If you have a multi-level home, it is just best to have someone come and take care of it for you. Save the fancy fold in windows for a day when you are stir crazy with nothing to do. Psst. If you have those windows it could knock down the overall price. Ask your window cleaning professional. How dirty are your windows? If you have a lot of stuck on dirt and mineral deposits, no worries. A professional will have the tools and chemicals to get the job done. This may increase the cost, but it has to be done before the price can go down next time. In the end, professionals get the job done faster and better. If you hire locally, all of the extras can be worked into a payment plan if you sign up for a regular window cleaning. Commercial companies can come out and really take care of all of it quickly though. As always, be a smart consumer and price check and compare. Ask friends and neighbours who they use. You may get a discount from a referral you just have to ask about these things. Go make some calls!